As human beings, it’s not uncommon for us to be wary of things we don’t have a full understanding over, and when it comes to a lot of businesses around the world, cloud computing is one of these things. Today, we’re going to explore the four ways that cloud computing systems can bring enhanced levels of security to your business, and why you should be thinking about upgrading and using it. Even though you might not know much about computer systems and cloud-based networks, the provider you’re receiving the cloud services from will know; which means you always have access to their expertise. In fact, whenever anything goes wrong, or you need to ask a question, most professional services will have a 24-hour support team available to help you get exactly what you need to be done in the best and most productive way possible. This is, of course, all included in your desired pricing plan, much like the Techfino NetSuite pricing plan, but it’s always important to make sure you check before making a payment. From a hacker’s perspective, there are so many ways into a traditional computer system that it’s actually bordering on ridiculous. From the computer itself to the files, to the browser, to any external hardware you can plug in and so on and so forth, there are endless ways your networks and information can become compromised. However, cloud-based systems are usually locked away in secure locations and server rooms where the only access is the internet, which means there’s one entrance. This, of course, tends to be guarded, encrypted, and only accessible to those who have access to it, making it far more secure for you. Hand in hand with the consideration above, when you’re using a traditional (legacy) computer system; anybody has the capability to walk in and access your files. Let’s say you’re using a computer at the front desk of your hotel and it has access to all your customer’s personal and financial information. Who’s to stop something walking around the desk to start clicking on things if your receptionist is busy dealing with something? Using a cloud-based system means everything is password-protected and there are multiple steps to be taken before reaching private information. One of the biggest problems with legacy computers is the fact that they’re different to update and expand upon, especially when they’re growing with your business. However, keeping older models means you’re susceptible to the issues relating to this, such as malware and viruses. However, when using a cloud-based system, all the upgrades and compatibility problems are taken care of without you having to do a thing. This means you’ll always be protected from the latest threats and will never have to worry about being infected. As you can see, there are a ton of security features that your business can benefit from when using a cloud-based computing system. If you’re unsure of how this could help your business, get in touch with a professional advisor to start your journey. 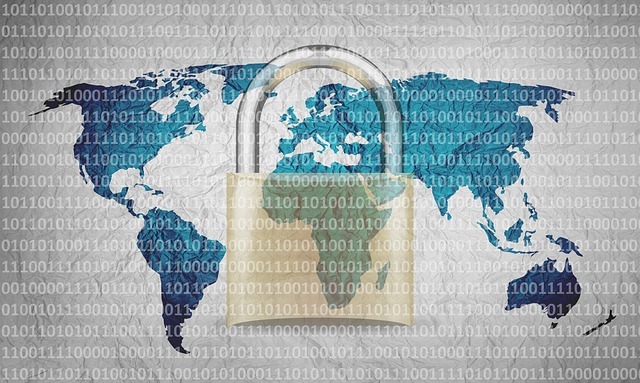 Previous post: Corporate Cybersecurity: Is your business data secure?